ERIC SCHADE of Phippsburg, Maine was trained as a mechanical engineer, and has practiced that profession for 20 years. In 1983, he built his first boat, a small canoe. 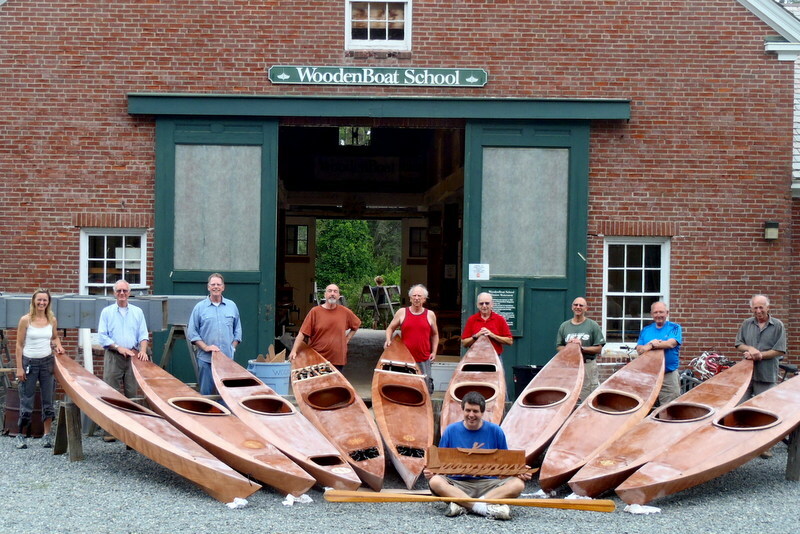 Since then he has built more than 50 small boats, including kayaks, canoes, rowing boats, and small sailboats. 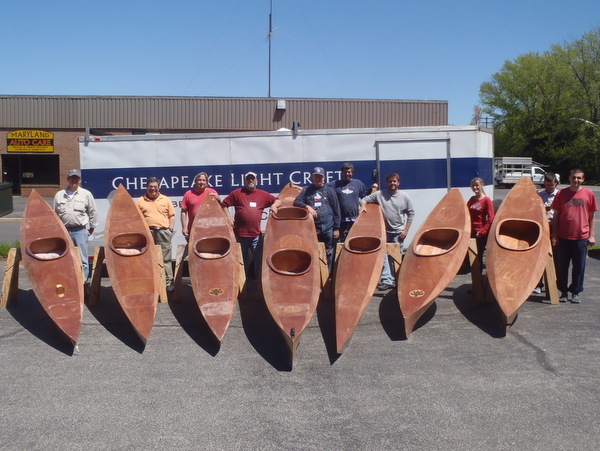 In 1996 he founded Shearwater Boats (www.shearwater-boats.com) to offer custom canoes and kayaks. Gradually Shearwater has developed to the point where it offers an extensive line of stitch-and-glue watercraft—kayaks, canoes, rowing boats, and sailboats. 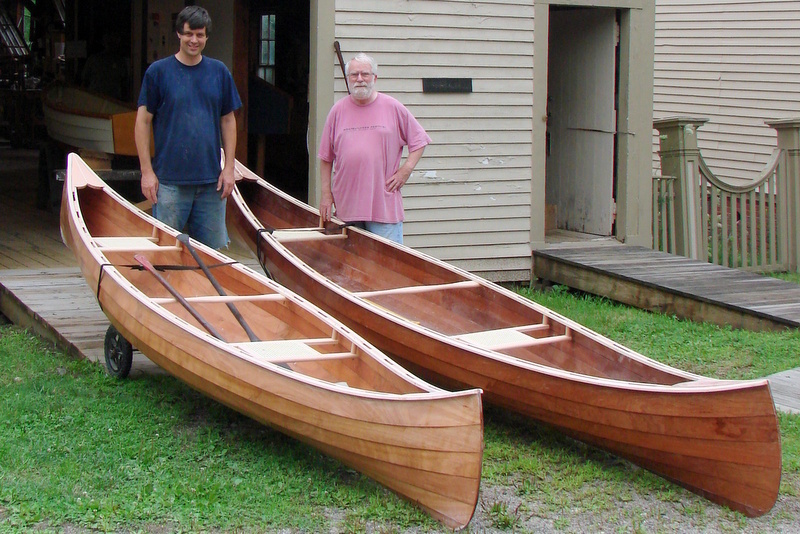 Eric has also designed a line of new boats offered by the Chesapeake Light Craft company (www.CLCboats.com) Eric has taught boat building classes in Norwalk, Connecticut and at the WoodenBoat School In Brooklin, Maine with something like 150 boats built by his students. Other organizations or people wishing to offer classes may feel free to contact Shearwater Boats for more information. Facebook Group for prospective, current and past students. 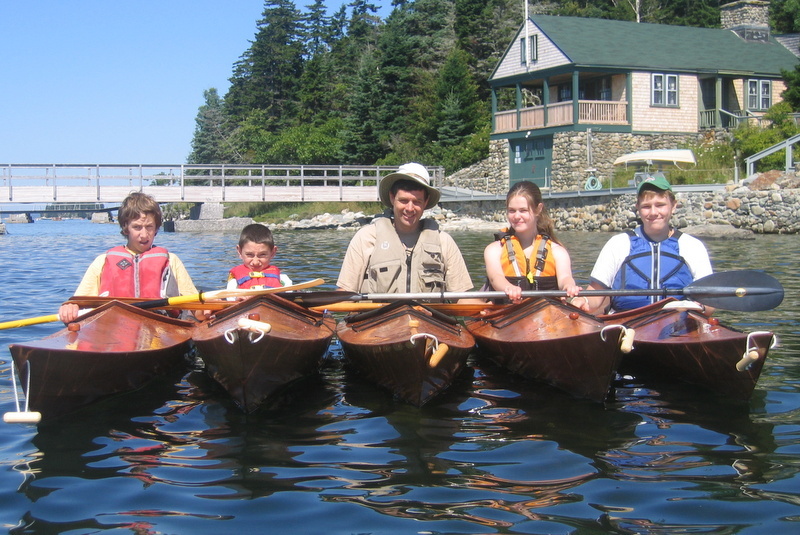 The Wood Duck is a recreational kayak designed for comfortable, relaxing paddling in sheltered waters. 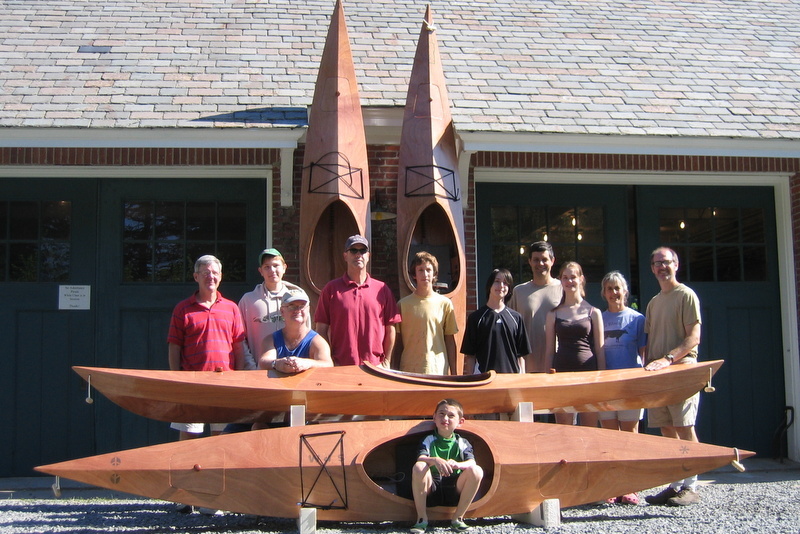 This kayak is built from mahogany plywood which makes her very pretty as well as light weight and strong. She is available in three sizes 10 feet or 12 feet or 13′-9″ long. larger paddlers will want the larger boat as will those wishing a bit more speed. We will build this little boat starting with the plywood panels and get it ready for you to varnish at home. We may even get to try it out before you travel home.